Simple exercises for those of us who never seem able to set aside time for meditation, or feel silly repeating a mantra. No yoga mats, chanting, gurus, or out-of-body transports. Bays offers mindfulness practices that can be incorporated into our daily routine, inviting us, for example, to “Use Your Non-dominant Hand,” “Look Up!,” or “Notice Smells” as we travel through our daily lives. 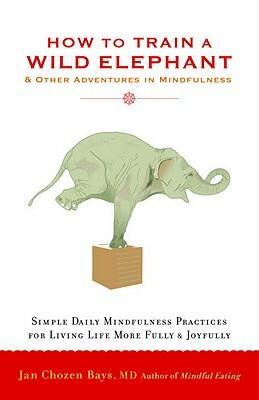 Hints about how to remind ourselves of the challenge and what deeper meaning we might glean from our experience.